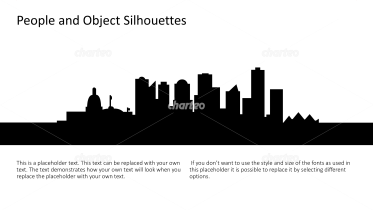 A silhouette is a two-dimensional representation of an object, identified only by its outline. 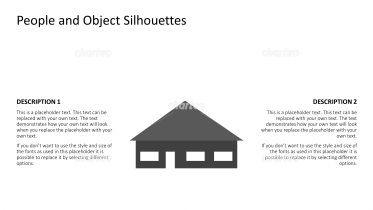 The object is uniformly filled in with a solid color, drawing focus to its form and contour. 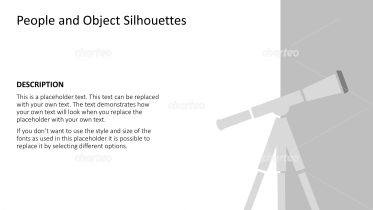 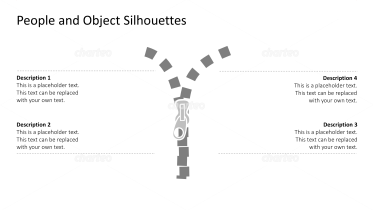 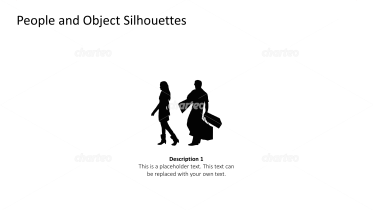 Silhouettes can depict both objects and people. 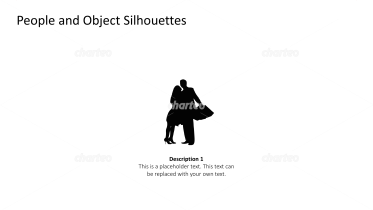 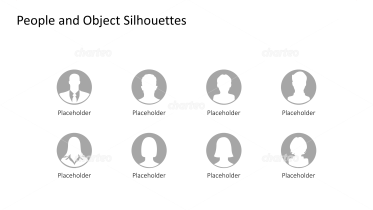 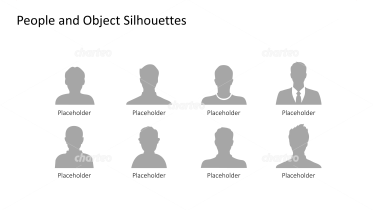 Templates of people silhouettes can help you depict personal relationships, hierarchical relationships, and networks. 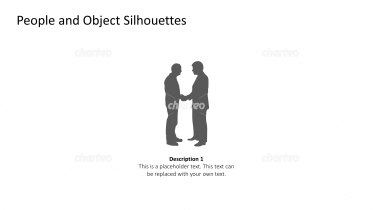 For example, use the graphics to represent management, or to present teams and their roles, or stakeholder groups. 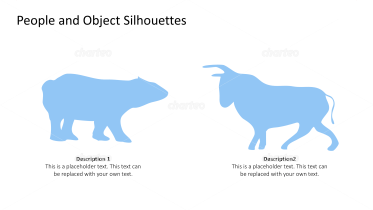 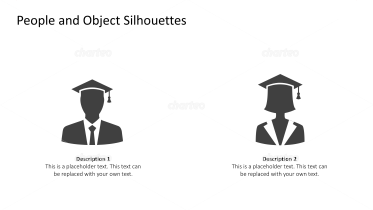 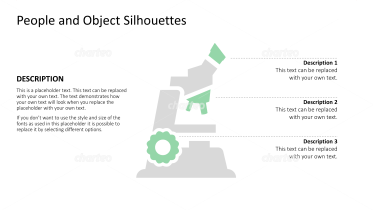 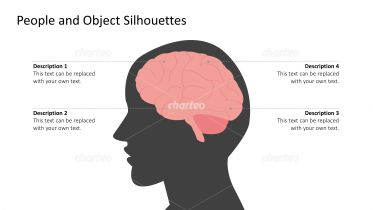 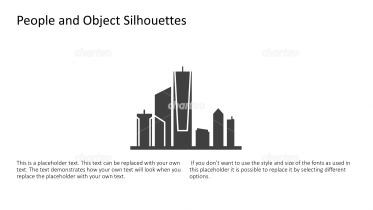 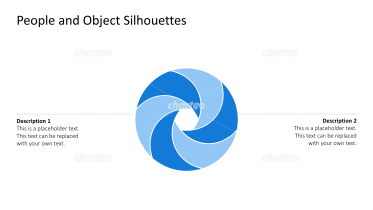 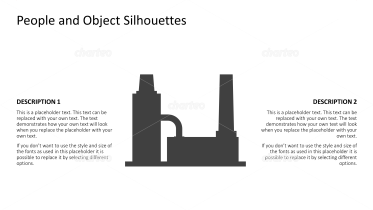 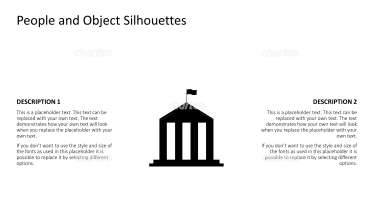 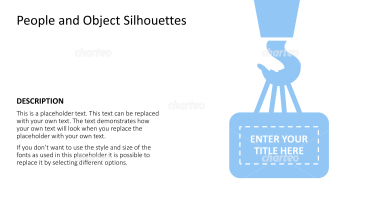 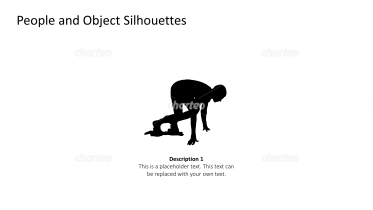 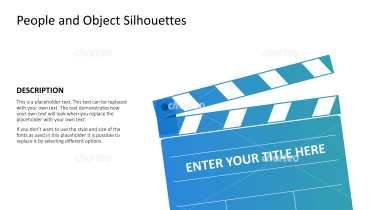 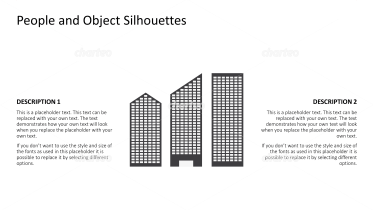 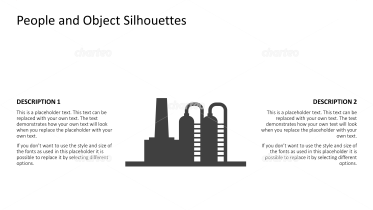 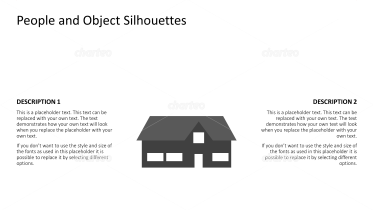 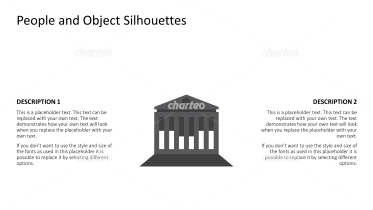 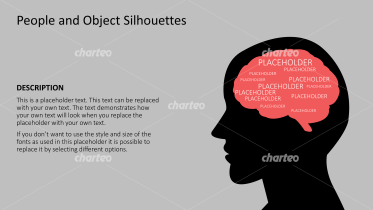 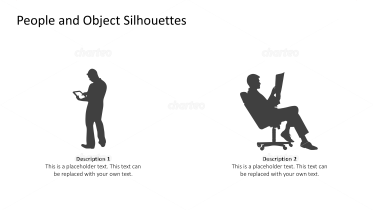 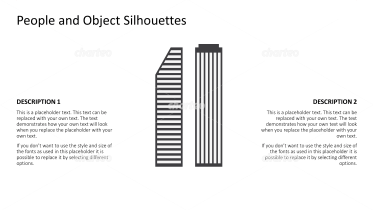 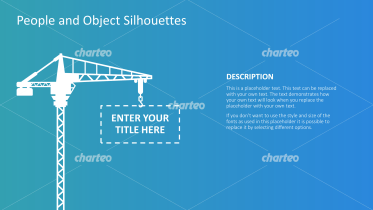 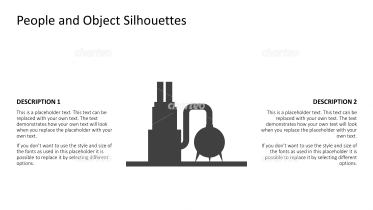 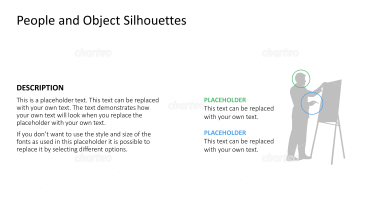 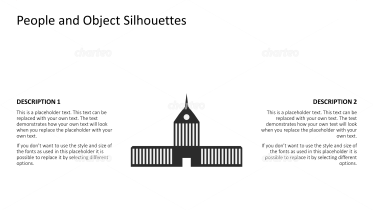 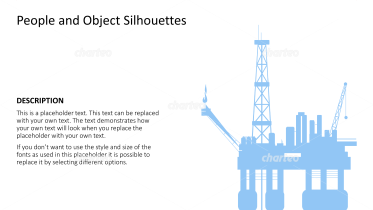 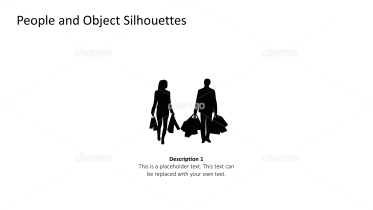 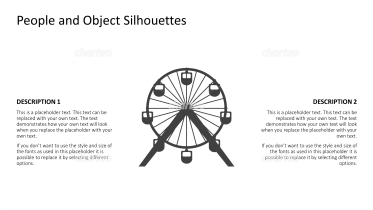 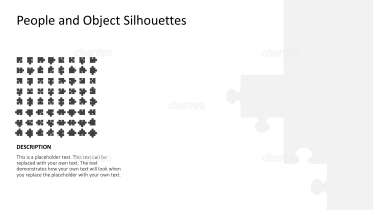 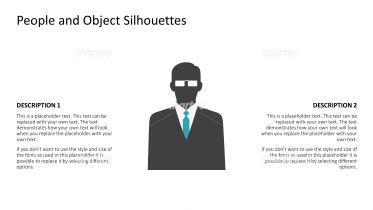 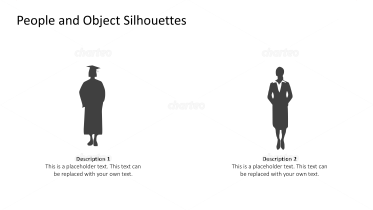 Object silhouettes are useful to visually support the presentation of terms or facts without distracting from the content. 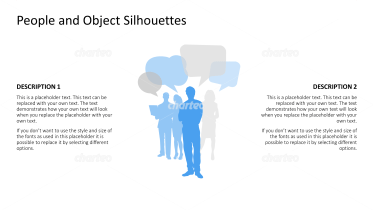 By reducing the object to its outline, these versatile silhouettes can be easily understood by any audience. 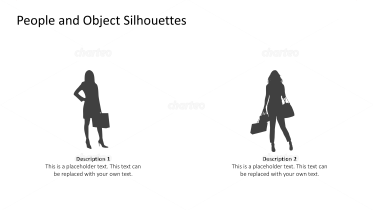 For something different, try using our reverse silhouettes where the object and background colors are exchanged. 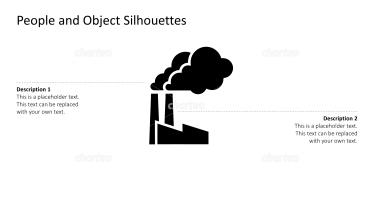 Put your content in the right light with silhouettes of industrial buildings, consumers, skylines or commercial vehicles.